“A Hushed Thrill” is an exciting, newly released CD project of eight songs that I wrote about Brookgreen Gardens, my place of employ and one of this country’s treasures. It was completed through collaboration with a team of dedicated music students and staff of The Athenaeum Press at Coastal Carolina University. About 40 students of this student-driven publishing lab arranged, performed, recorded, designed, edited, and mastered the entire project from tracks to packaging. Their talent is amazing! The project is the first collection of songs about Brookgreen Gardens, our country’s premier sculpture gardens located in Murrells Inlet, SC, and perhaps the first collection of songs about a specific site. It provides listeners a unique, aural, foot-tapping, and joy-abounding way of experiencing a one-of-a-kind place of art, nature, and beauty. This entry was posted in Uncategorized on August 28, 2016 by rondaise. 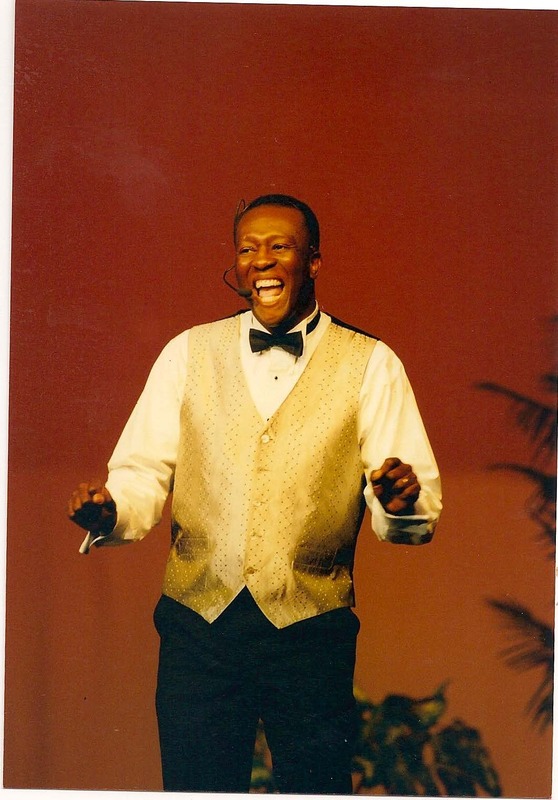 The nodding heads, sometimes pained but enlightened eyes, and postures of pride throughout the audience during my performances at the United Nations are affixed in my memory! They affirmed that my selections had been chosen well for the 2016 International Day of Remembrance observance. That they supported the event’s theme: “Remember Slavery: Celebrating the Heritage and Culture of the African Diaspora and its Roots.” I performed songs and a poem from my “Gullah Tings fa Tink Bout” CD (http://www.cdbaby.com/cd/ronalddaise). I am thankful for the opportunity I’d been afforded to inform, inspire, and empower. On March 25 of each year, the United Nations honors the memory of millions of Africans forcibly removed from their families and homelands over hundreds of years. The Panel Discussion and Performance on which I participated on March 24 was themed: “The Transatlantic Slave Trade: Constructing New Amistad, Bunce Island, Maroon, and Nova Scotia Bridges. (To view the event, visit: http://http://webtv.un.org; Meetings & Events, Recent On Demand, 24 March 2016). I will remember the informative and powerful presentations of the esteemed moderator and panelists with whom I was seated: Dr. Sylviane A. Diouf, Director of the Lapidus Center for the Historical Analysis of Transatlantic Slavery and a curator at the Schomburg Center for Research in Black Culture of the New York Public Library; Alfred L. Marder, President of The Amistad Committee, Inc.; Bernard Powers, professor of history, College of Charleston in Charleston, SC, and a board member of the International African American Museum, a developing museum in Charleston that will mark the most significant port for the Transatlantic Slave Trade in North America; Dr. Christopher R. DeCorse, professor and past chair of the Department of Anthropology in the Maxwell School of Citizenship and Public Affairs at Syracuse University in Syracuse, NY; and Roy T. Anderson, writer, director and producer of award-winning movies about the Jamaican Maroons. We remembered. We gave honor. We constructed bridges that connected our shared cultural legacies. I followed with the performance of my spoken word poem, “African Diaspora.” As reinforcement of the information the panelists had imparted about the dynamic culture and traditions of Africa that continue to enrich life in the countries that were once involved in the Transatlantic Slave Trade, I encouraged the audience to participate. And the seeds and spores landed in communities including Jamaica, Cuba, the West Indies, the Caribbean Islands, Brazil, Nova Scotia, and the Gullah Geechee communities of the southeastern coastal United States. I received numerous comments from attendees afterwards that they had utilized the word “Diaspora” before without fully realizing the heaviness and extreme horror of its meaning. That would never happen again, they confided! Such cultural legacies, in addition to invaluable assets including fortitude, courage, strength, tolerance, patience, and compassion, should be celebrated and honored! They are when cultures of the African Diaspora follow the interpretative framework of “Tellin We Story!” as established by the Gullah Geechee Cultural Heritage Corridor Commission in its Management Plan of 2012. When members of once enslaved cultures learn about and then tell their truths, the generational shame of slavery dissipates. It vanishes. Empowerment reigns. I witness this firsthand time and time again during my weekly “Gullah Geechee Program Series” at Brookgreen Gardens in Murrells Inlet, SC, and wherever I perform my cultural programs. When leaving the event, I visited “The Ark of Return,” a Permanent Memorial in the United Nations Visitors Plaza. Designed by Rodney Leon, an American architect of Haitian descent, it invites visitors to experience three elements: Acknowledge the Tragedy, Consider the Legacy, Lest We Forget. This entry was posted in Uncategorized on March 28, 2016 by rondaise. 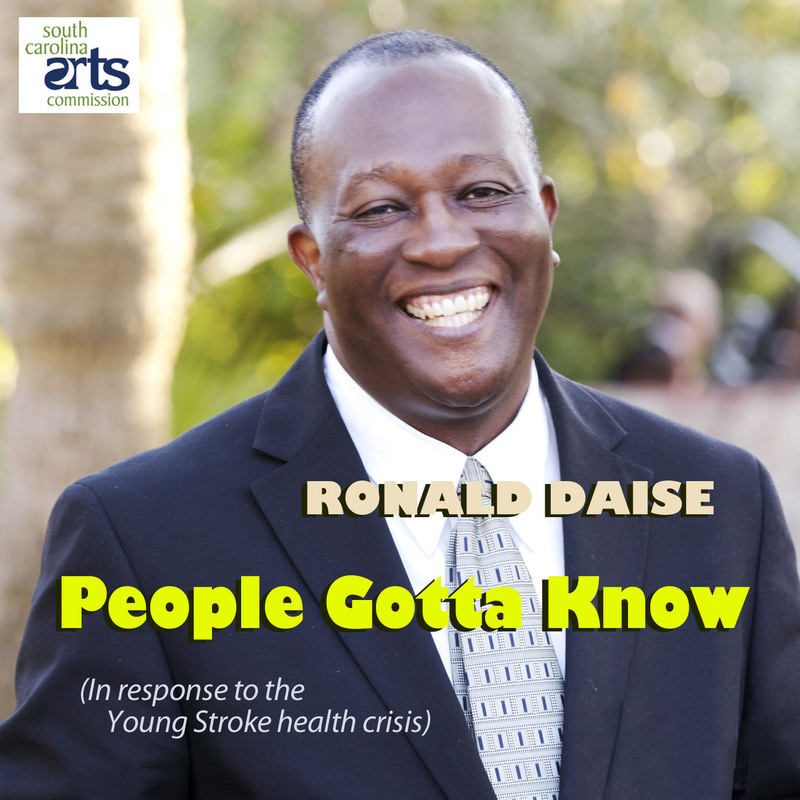 Available only as downloads for computers, iPods, or notebooks, this upbeat, rhythmic, and memorable Pop tune raises awareness about a global concern – the increasing health crisis of stroke among young adults. “People Gotta Know” showcases scenarios in contemporary culture that young adults should be prepared to encounter. This entry was posted in Uncategorized on June 6, 2015 by rondaise. On Tuesday, June 24, 2014, “Gullah Tings fa Tink Bout” CD will be available for sale at CD Baby. In the near future, it also will be available at iTunes and amazon.com. The CD’s musical styles include traditional spiritual and also the genres that spirituals birthed: southern blues, stomp and clap gospel, Gullah Geechee/West African pop, and also a Gullah Geechee/West African/Caribbean blend. The themes that are highlighted are: African Diaspora; the common cultural connections of food ways, language, rice heritage, crafts, music; the tragedy of enslavement, the importance of family, and the resilience of survival. This project is funded in part by the South Carolina Arts Commission, which receives support from the National Endowment for the Arts. I collaborated with Travis Winbush, a musician, producer, and Gullah native of Savannah, GA, and Vernon B. Harris. 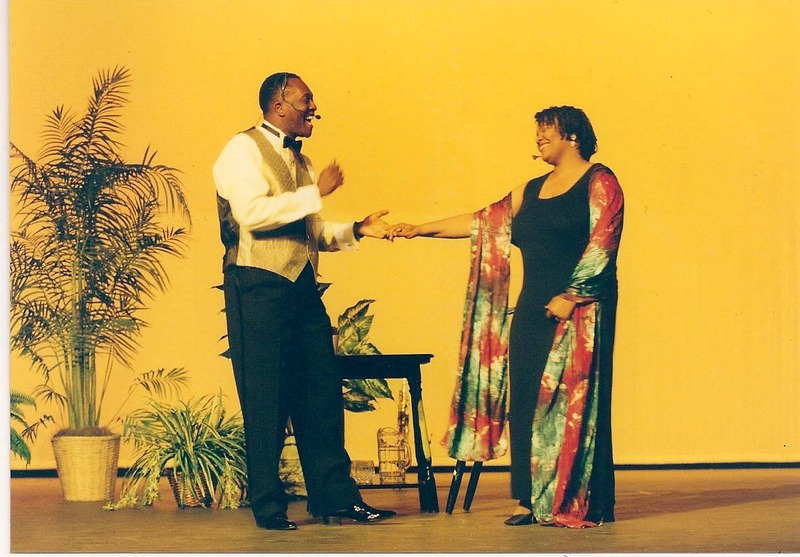 Winbush and I previously had collaborated on the recording of “Gullah Geechee Mean a Lot!”, a song that I composed following my election to the chairmanship of the federal Gullah Geechee Cultural Heritage Corridor Commission in 2012. It is included on the CD. During the GGCHCC’s involvement in the 2013 Presidential Inaugural Parade, the song was broadcast from the float as it passed the Presidential Review Stand. As a performing artist, author, cultural preservationist, and former Chairman and Founding Commissioner of the Gullah Geechee Cultural Heritage Corridor Commission, I am committed to celebrating and preserving our culture. Gullah Geechee people, tourists, youths, and adults, I hope, will be pleased. I am Gullah Geechee. I am proud! This entry was posted in Uncategorized on June 24, 2014 by rondaise.